Anterior cruciate ligament (ACL) tears are common knee injuries sustained by athletes during sports participation. A devastating complication of returning to sport following ACL reconstruction (ACLR) is a second ACL injury. Strong evidence now indicates that younger, more active athletes are at particularly high risk for a second ACL injury, and this risk is greatest within the first 2 years following ACLR. Nearly one-third of the younger cohort that resumes sports participation will sustain a second ACL injury within the first 2 years after ACLR. The evidence indicates that the risk of second injury may abate over this time period. The incidence rate of second injuries in the first year after ACLR is significantly greater than the rate in the second year. The lower relative risk in the second year may be related to athletes achieving baseline joint health and function well after the current expected timeline (6–12 months) to be released to unrestricted activity. This highlights a considerable debate in the return to sport decision process as to whether an athlete should wait until 2 years after ACLR to return to unrestricted sports activity. In this review, we present evidence in the literature that athletes achieve baseline joint health and function approximately 2 years after ACLR. We postulate that delay in returning to sports for nearly 2 years will significantly reduce the incidence of second ACL injuries. The authors would like to thank Drs. Stephanie Di Stasi, Wendy Hurd, and Kate Webster for their input, clinical expertise, editorial work, and conversations regarding the topic presented in this article. The authors acknowledge funding from the National Institute of Arthritis and Musculoskeletal and Skin Diseases: R01-AR049735, R01-AR055563, and R01AR056259 to TEH. Christopher Nagelli and Timothy Hewett have no conflicts of interest relevant to the content of this review. Allen MM, Pareek A, Krych AJ, et al. 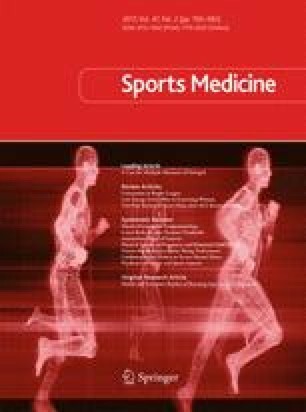 Are female soccer players at an increased risk of second anterior cruciate ligament injury compared with their athletic peers? Am J Sports Med. 2016. doi: 10.1177/0363546516648439.